Mark Wahlberg'll Be Back For More Transformers Films. And Soon. 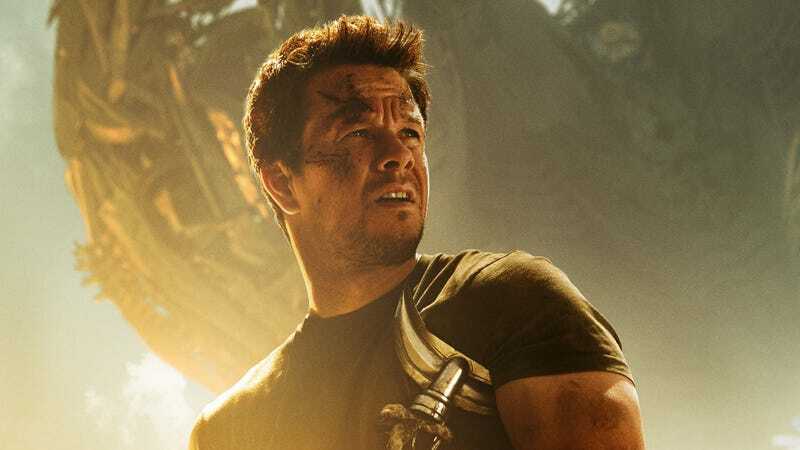 Contrary to earlier rumors that Mark Wahlberg's first appearance in the Transformers franchise, Wahlberg himself has said that he's contracted for a "couple" more and that he expects to be back on the set "soon." I committed to do a couple more. I can't speak for Mr. Bay, but something tells me that we'll be on the set soon. The reference to Michael Bay seems to hint that his return to the director's chair is still very much up in the air and that the studio is going to move forward with a fifth movie quickly, with or without him. Given that we'd also heard that the studio was considering asking Shia LaBeouf and Megan Fox to return if they lost both Wahlberg and Bay, this news is very welcome. Move forward, not back, Transformers!